Joel Perlmann is a senior scholar and director of the Institute’s Immigration, Ethnicity, and Social Structure research program. He is the Levy Institute Research Professor at Bard College, where he teaches courses in history and sociology. Perlmann guides a research initiative, “Ethnicity and Economy in America—Past and Present,” that focuses on the processes by which immigrants and their descendants are assimilated into US social and economic life. He is currently completing Americans Classify the Immigrants,to be published by Harvard University Press, which deals with the struggles over and ambiguities of ethno-racial classification in federal data collection from the 1890s to the present. This volume continues a long-standing interest in the use of ethnic categories in the collection of US government data, captured in several Levy Institute working papers, a policy brief, and a policy note as well as in the Levy Institute conference on census racial classification and the publication, in 2002, of The New Race Question: How the Census Counts Multiracial Individuals (coedited with Harvard sociologist Mary Waters; copublished with the Russell Sage Foundation). In 2005, Russell Sage and the Institute copublished Italians Then, Mexicans Now: Immigrant Origins and Second-Generation Progress, 1890–2000, the results of Perlmann’s comparative study of immigrant and second-generation earnings in the last great wave of immigration (c. 1890–1914) and in the current period. That research project relied on data through Census 2000. The Mexican American young adults studied in that dataset were born during the post-1965 immigration period, but only at the beginning of that period (1966–75). During the next 15 years (1976–90), Mexican immigration continued and grew much larger. Do findings based on that earlier cohort of young Mexican-American adults captured in Census 2000 still hold for subsequent cohorts? Census datasets covering 2000–15 allow us to track the earnings of those later Mexican arrivals and their offspring, now (in 2010–15) young adults. Perlmann expects to undertake that research during the coming year. In 2008, Perlmann, together with Bard sociologist Yuval Elmelech, established the Research Group on Israeli Social Structure and Inequality within the Immigration, Ethnicity, and Social Structure program. Together they published a critique of explanations for the ethnic dichotomy (Ashkenazi-Mizrahi) in Israeli social structure (an earlier version appeared as a Levy Institute working paper). Also, the Levy Institute undertook to make machine readable seven short volumes published by Israel’s Central Bureau of Statistics based on a census of Palestinians in the occupied territories that had been conducted immediately after the Six-Day War (Summer 1967). Details are available here. Finally, Perlmann is completing a book manuscript for the Russell Sage Foundation concerning the interplay between American ethnic and racial intermarriage, people of mixed origin, and upward mobility since 1880. 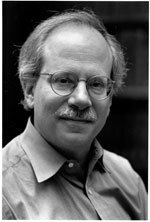 Perlmann received a Ph.D. in history and sociology from Harvard in 1980.